I've got a 75/75Mbit Fibre (FTTH) connection, but my speed seems limited with my new motherboard. I've recently bought an Asus M4A89TD PRO/USB3 and for some reason my connection is limited to about 40Mbit down and 10Mbit up. The motherboard has an Realtek PCIe GBE Family Controller and all drivers are up to date and i'm running the latest BIOS version. I've already tried plugging in another desktop PC and a MacBook on the same LAN cable, and they both get the full 75Mbit up/down. Ensure that the proper device-specific drivers are installed rather than the default ones Windows usually installs. I know you said they are up to date but are they the ones from the manufacturer? Yep, I downloaded and installed the latest drivers from the Asus support website. Update: Problem solved by setting the mode from Auto to Full Duplex 1.0 Gbps. 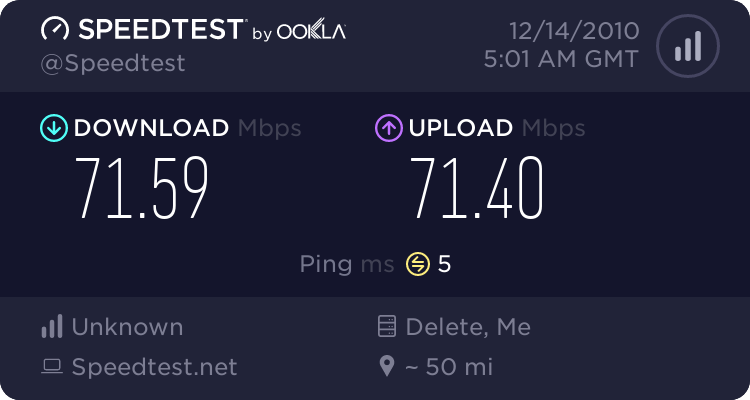 Update: Hmm, it only worked for about a day and now with the mode set to Full Duplex 1.0 Gbps i'm again getting a limited speed of about 30/10Mbit and i'm still getting 75/75Mbit with every other PC I hook up to the same LAN cable. Last edited by Twiebie; April 10, 2011 at 04:46 PM. I have not been able to figure out what was causing the problem and I lost count on how many drivers i've tried. I decided to forget about that Realtek onboard thing and bought an Intel EXPI9301CT for 25 euro. Works like a charm on Windows 7 64 and i'm even getting about 5 more Mbps on my up and download speed. Interesting. I have made ASUS aware of this issue. Hopefully, it will be fixed. The ASUS board works perfectly fine, but it's just the Realtek LAN chip and Realtek Sound chip that keeps giving problems. I've checked onboard sound on 3 different ASUS AM3 boards that have the same Realtek chip and they all have a very low mic input volume and a lot of noise because micboost has to be turned all the way up to get a decent sound level. For me the best option was to get a nice alternative sound and LAN card, i'm not longer going to wait for Realtek to come up with a decent driver.. It's a shame because the rest of the ASUS board is performing very well.. Thanks for making ASUS aware of the issue!